Home page > News > Household infrared heaters. In the process of consumption, humanity chooses the best filtering out the goods and services that are unable to meet our requirements. After years in the market only seasoned producers remain, and everything new is subject to careful selection and comparison. Of course, the market of heating systems is no exception, as the heating of premises, starting from our own homes and ending with industrial heating, should be carried out based on the safety, economy and efficiency of the system. Over the past 50 years, the list of heating methods has been supplemented with innovative ecological methods aimed at the maintenance of non-renewable natural resources. It became fashionable to talk about the wind and solar energy, using solar panels and building a "green" home. However, presently, such heating systems are still expensive, bulky and not practical in the household. The only technology that has gained popularity on a par with the usual gas heating or firewood, and has proved itself as an efficient and easy to use - is the infrared heating system. Each year household infrared heaters can in increasing frequency be found as a primary or secondary source of heating in the room. They are easy to mount and configure, so the person can with no trouble buy such equipment and install it on their own, following the basics of safety. It is necessary to distinguish between electric infrared heaters according to the length of heat waves they can emit. Short-wave, medium-wave and long-wave infrared heaters are used in different situations, and while choosing it's important to clearly understand why you need such a heat source. The equipment with short-wave rays, the so-called UFO and the like, is used solely for zonal heating. The other two types, particularly the long-wave one, are perfectly suited for the primary heating of homes and domestic premises, as well as to create a microclimate in some areas. Household infrared heaters represent a modern economical heating without the use of explosive gas, liquid and solid fuels. Today the technology in the field of heating is moving in the right direction, focusing on the harmonious combination of the efficient heating system and the specially insulated home to reduce heat loss. Electric infrared heaters allow you to create at home a "smart" climate control that saves on heating costs. How does this work? First of all, when purchasing you should pay attention to the fact that electric infrared heaters vary in power and, therefore, are designed for different areas of the premises. 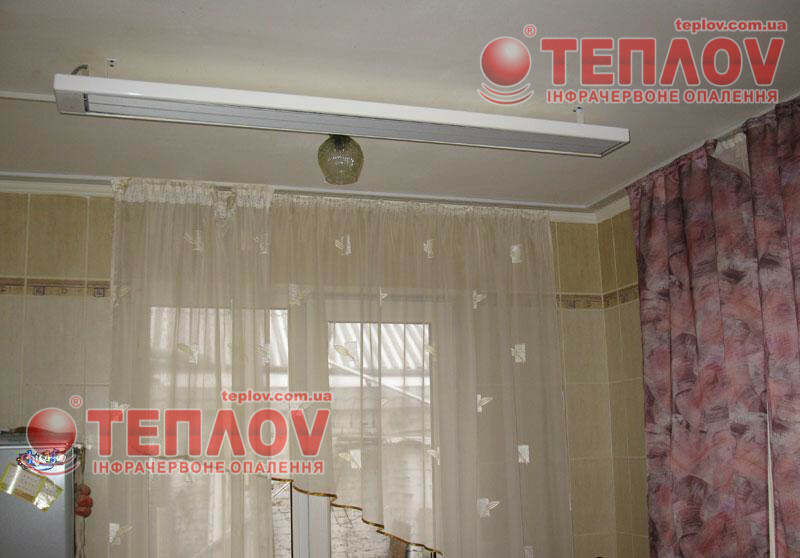 "Ukrprom" has developed a line of long-wave household heaters for homes, bathrooms, balconies, loggias, small offices, shops and warehouses. Household infrared heaters - Teplov B600, Teplov B1000, and B1350 - are designed for suspension at the hight between 2 and 3.5 meters. Depending on the area of the room and the level of heat loss, our specialists will help you choose the right number of IR heaters and advise you on the climate regime to make your acquisition profitable by saving on heating costs from the first hours of operation. 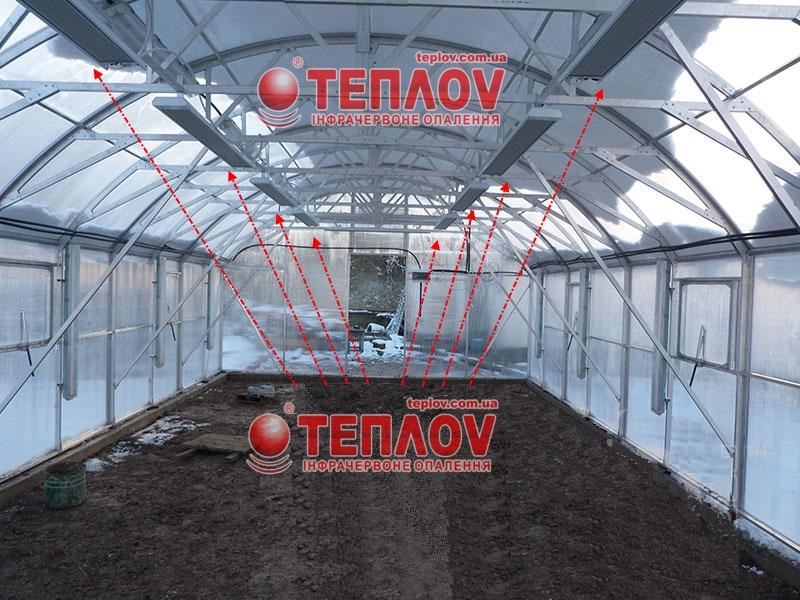 Infrared heaters, connected to only one thermoregulator, work as a single system and thus create a microclimate in accordance with your wishes. It takes a few minutes to turn on and start the system, then the heating cycle begins with infrared rays warming surfaces and objects in the room. If there is a person over there at this time, the feeling of warmth comes almost immediately regardless of the fact that the air temperature has not actually changed yet. Household infrared heaters are absolutely harmless to humans, so people can safely stay under infrared rays as far as the equipment is not less than 1 meter above the head. After heating up the room, the system switches off, and the heat that remains in objects gradually goes to the air, so there is a secondary heating process, which is not typical for other heating systems. When the temperature drops perceptibly sensors again trigger the operation of the heater. The efficiency of the infrared heater is 98% - this is the best performance among all the equipment in the market, which allows us to speak about a directly proportional correlation between generated heat and used electricity without unnecessary losses. Thus, you save from 40 to 70% of energy consumption for heating household premises. Teplov household infrared heaters are safe, certified in Ukraine and the European Union heating equipment with a warranty period of 10 years. The estimated service life of properly handled equipment is 3 times longer - more than 30 years. 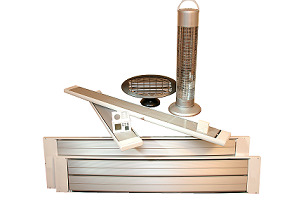 Each client gets a unique operating mode of heaters suitable for the needs and character of the use of premises.